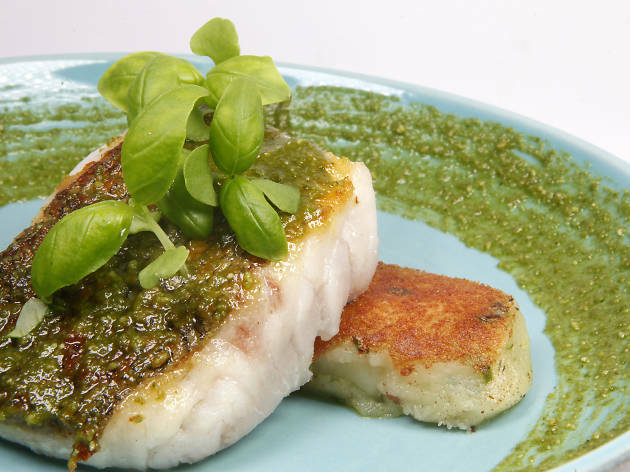 It takes a fine pair of cojones to open a Mediterranean restaurant right next to chef Jason Atherton’s critically acclaimed tapas joint 22 Ships. And that means Elite Concepts is taking an incredible risk with QMO, the latest addition to the group’s portfolio. QMO stands for ‘Quriosity Meets Obsession’. Big words for sure but, sadly, we find they fall a little flat. It isn’t a total failure here, though. The atmosphere is comfortable and quaint with cosy lounge-like surrounds alongside dark tables that are lit ever so slightly. It’s the food that fails to deliver. 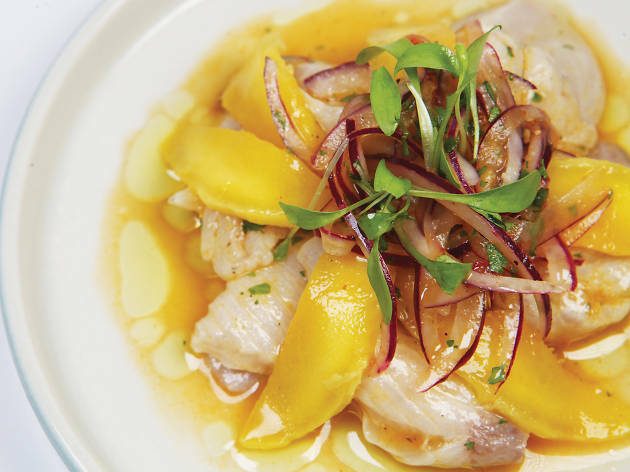 We begin our meal with a beautifully plated but disappointing hamachi ceviche with mango slivers ($98). 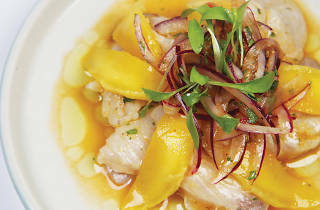 The dish is far too sour, overpowering the flavour of the fish and even the sweetness of the mangoes. 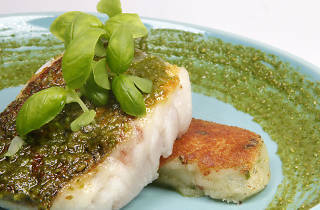 We then move to the slightly golden-fried hake topped with a pesto sauce ($168). This dish fares better due to a reliable combination of top ingredients. However, the texture is on the dry side. The saving grace of the evening is the mango mousse ($78) that’s complemented by a green tea crumble and gelato. The balance of sweetness and the contrasting textures hit all the right notes. QMO should consider changing its acronym as it sets expectations too high. Most of the food is not bad per se, but when you claim an extraordinary obsession about food, you should be delivering something more than just ordinary.